Like other members of the medical community, an individual desiring to practice physical therapy in Florida must first possess a valid license issued by the Florida Board of Physical Therapy. When a person possesses such a license, it is an indication to members of the public and other professionals that the holder of the license possesses the education, knowledge, and experience the Board believes to be necessary to competently treat patients. Obtaining and maintaining this license, then, is critical, and the Tampa physical therapist license lawyer at Law Offices of David P. Rankin, P.A. can aid those whose application has been denied, who are unable to successfully renew their license with the Board, and/or those whose license is in jeopardy due to an allegation of misconduct or unprofessional conduct. The applicant or license holder has engaged in the unauthorized practice of physical therapy, has allegations of misconduct that have been filed against him or her (from a former patient or fellow physical therapist, for example), or has committed a criminal offense. The Board of Physical Therapy has enacted administrative procedures through which an individual who has licensing issues can seek a review of an application denial or declined renewal and/or defend and resolve allegations of wrongdoing and avoid a license suspension or revocation. Utilizing these procedures effectively to resolve your licensing or disciplinary issue takes the skill and experience possessed by the Law Offices of David P. Rankin, P.A.. Whether you need someone to help you appeal a denial of a license application or you are facing sanctions over an alleged act of misconduct, our firm aims to resolve your matter as expeditiously as possible. 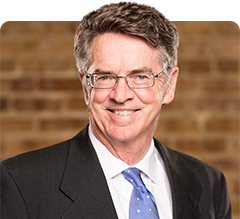 Attorney David P. Rankin has over 30 years of experience handling professional licensing disputes, first on behalf of professional licensing boards and now on behalf of licensees and applicants who are wrongfully denied the opportunity to lawfully practice in their profession. A significant number of physical therapy licensing issues can be resolved through informal means, but our firm has the experience and ability to powerfully advocate for you in formal proceedings and well. Call the Law Offices of David P. Rankin, P.A. today to speak with one of our Tampa physical therapist license lawyer at (813) 968-6633, or contact us online for assistance today.